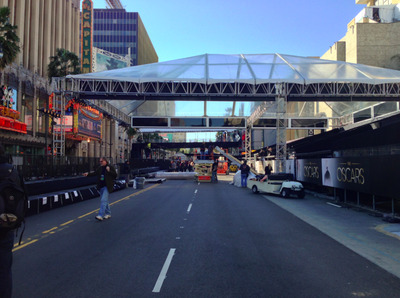 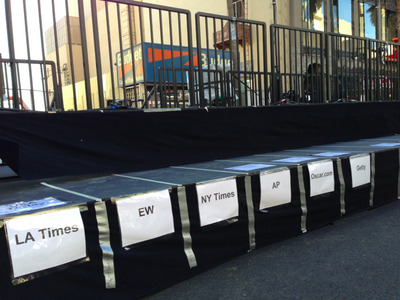 See what Hollywood Boulevard looks like before the Oscar’s team whips it into A-list shape. 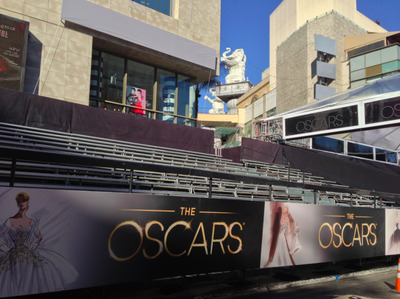 On Sunday, millions of people will be watching as celebrities descend upon Hollywood Boulevard to walk the red carpet before heading into the Dolby theatre for the 85th annual Academy Awards.We stopped by the Dolby theatre on Wednesday to get a better look at what exactly it takes to prepare for the most-watched red carpet event of the year. 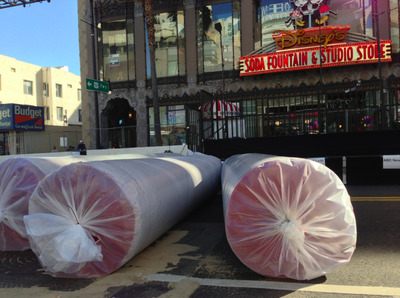 While workmen are quickly trying to transform Los Angeles’ Hollywood Boulevard into a red carpet area, the street is anything but glamorous before the Oscar’s take it over. 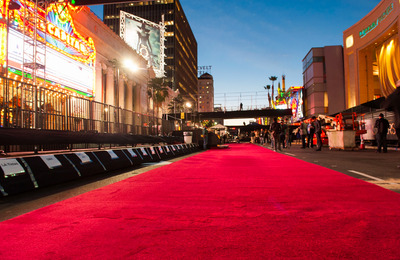 But before Sunday's big show, the glamorous red carpet area is just a blocked off busy street in the middle of a touristy area in Hollywood. 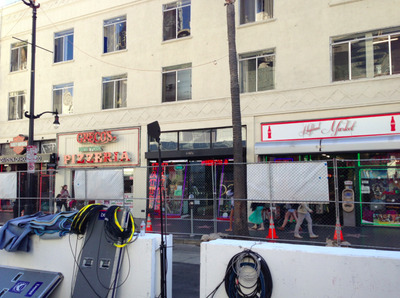 To the left, there is a pizzeria, tattoo parlor and Harley Davidson store. 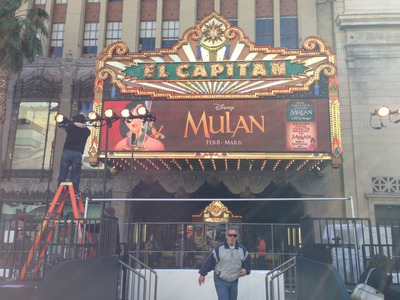 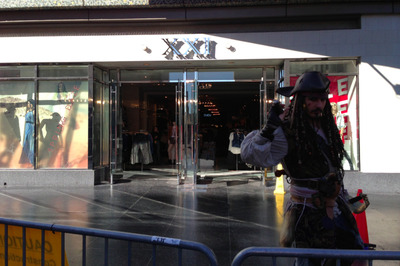 In front of the Dolby theatre, where the Oscars take place, there is the famous El Capitan theatre. 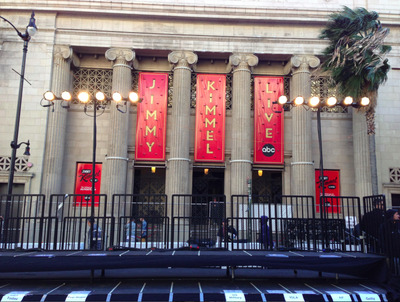 It's where Jimmy Kimmel is filmed nightly and where his star-studded Oscar's after-show takes place. 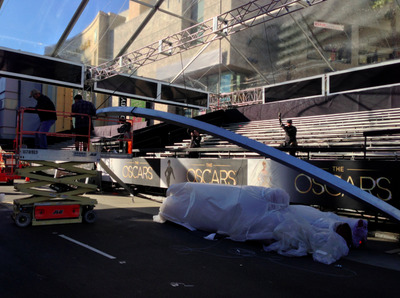 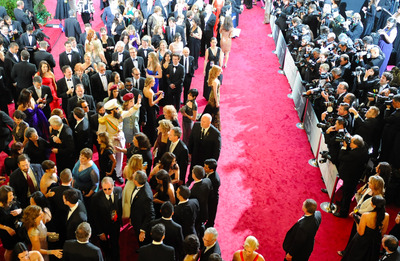 And the red carpet hadn't even been unravelled. 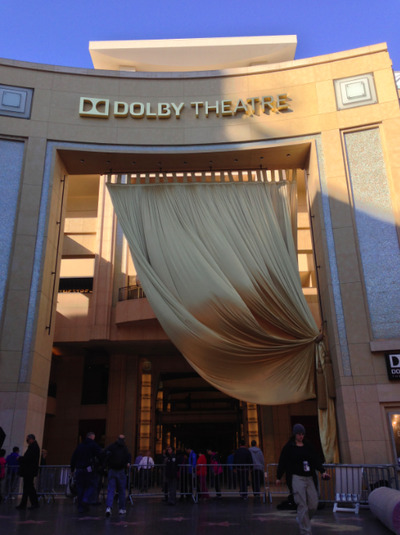 And the golden curtain has been drawn back in anticipation for Sunday's Academy Awards.